What inspired you to begin blog writing? What, exactly, did you want to say? What did you hope to accomplish? Did something make you happy, or sad; angry, or pleased? Did you feel the need to speak out on politics; or the economy; or religion? Did you have information to share on family, self-esteem, addiction or obesity? Did you simply hope to share a love of cars; or guns; or fishing? Are you worried about domestic violence, bulimia, teen pregnancy or STDs? Again, why did you begin writing a blog? 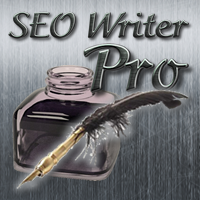 There are millions of blogs out there, written by millions of people, on tens of millions of subjects. All of them are important to at least one person – the author. Making them important to others can be difficult, and that will never happen until you Find Your Voice. In other words, a manner of expression, a style of communication, that will generate interest and which will keep your readers coming back for more; a style which is comfortable to you. It goes without saying that no one likes to be ignored, particularly when expressing opinions and sharing information which they believe to be important, if not crucial. Blogs are not begun by disinterested parties. Bloggers believe in their subject or they never would have begun the sometimes onerous task of blogging in the first place. However, being ignored will kill a blog more quickly than anything else, regardless of the author’s initial enthusiasm and commitment. While you don’t have to be THE EXPERT on your chosen subject, it doesn’t hurt. However, being well informed is critical. No one wants to waste their time reading foolish opinions, empty assertions or platitudes. This is, after all, the information age and information is the fuel that drives the engine of the Internet. Make provable, factual statements upon which you base your opinions to avoid the perception of bias or outright incompetence. While humor can be an excellent tool for making an otherwise serious point, it can also be inappropriate, if not outright offensive, under certain conditions. Offending your readers is usually not the best tactical choice for bloggers seeking a broad audience. A blog which targets the professions: doctors, lawyers, educators or CEOs, will generally need to set a professional tone in style. A blog which aims at the entertainment industry would usually be more relaxed, while a blog for teens might use a very casual style and include the popular language of the day. If your goal is to entertain, then by all means humor may be the best choice for you; assuming you can actually be funny in print. Consistency of style, quality of information, and regularity of posted content are crucial to the success of your blog. If only three posts out of four offer value to your reader, most will cease to return. If your audience simply cannot depend on your posting schedule, they’ll likely move on to a more consistent source of information or entertainment. Being consistent may be the greatest challenge to the beginning blogger, and even to some veteran online scribes, but it is essential to your success, however you quantify that for yourself. Just hanging in there until your audience can find you is probably your second greatest challenge but, if you believe in your reason for beginning your blog, you can’t afford to give up. If you do have something important to say, and if you use a few common blogging techniques to get noticed, you will eventually gain an audience. As with any task we set ourselves, staying focused is the key to success. Your bright idea may seem foolish to some, but so did Edison’s light bulb. Only through diligent and relentless in your blog writing efforts will you find your voice, and then you will be heard. This entry was posted in Blog content and tagged affordable seo article writer, affordable seo articles, affordable seo writer, blog content, blog content writer, fresh affordable online content, ghostwriter for online content, how to write a blog, online content writer, web content, well-written content, writing services. Bookmark the permalink.